I created this DIY wooden hat rack for my dad’s collection of “old man caps.” He’s got dozens and literally stacks six or seven at a time on top of those creepy styrofoam heads. 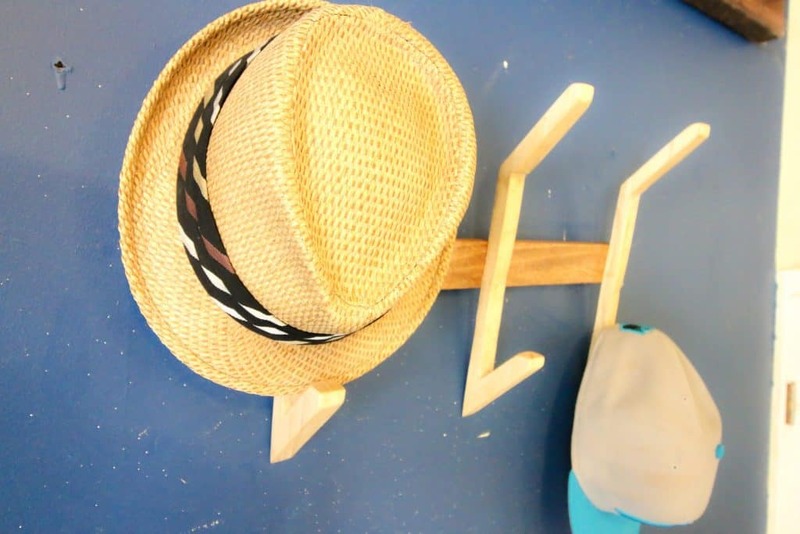 I wanted to give him a modern solution in the form of this DIY wooden hat rack. I borrowed part of my design from Chris Salomone’s individual hat rack holders. 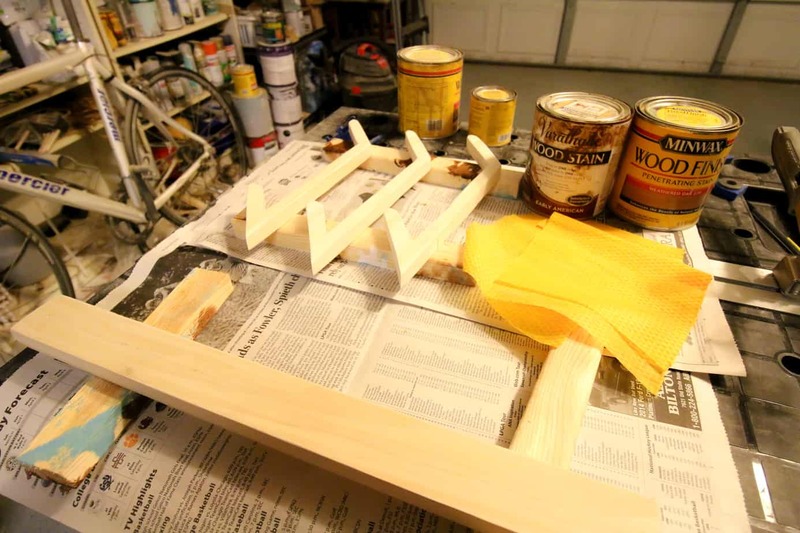 He made each hook out of three pieces of wood and glued them together. I just drew out a rough design on a piece of poplar and cut it out with a jigsaw. I can’t give you the exact angles because I just freehanded it (but if you scroll down, you can download the plan). However, each rack is about 14 inches from highest point to lowest point and are about three inches deep. I then traced that design two more times and cut those out as well. In order to keep these three pieces together, I cut a three inch wide, two food long board to attach them to. After sanding everything down, I stained the hooks Weathered Oak and the board Early American. This gave a little contrast and a little pop. 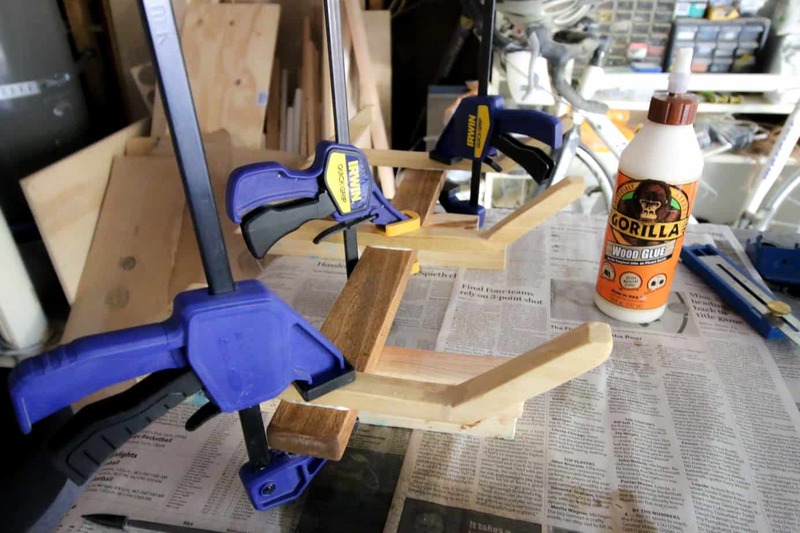 I used Gorilla Wood Glue and clamps to attach the hooks to the board. The outside hooks were set in one inch from the edges and the third hook was centered. The final step was to add hanging hooks to the back and soft felt pads to keep the wood off the wall. 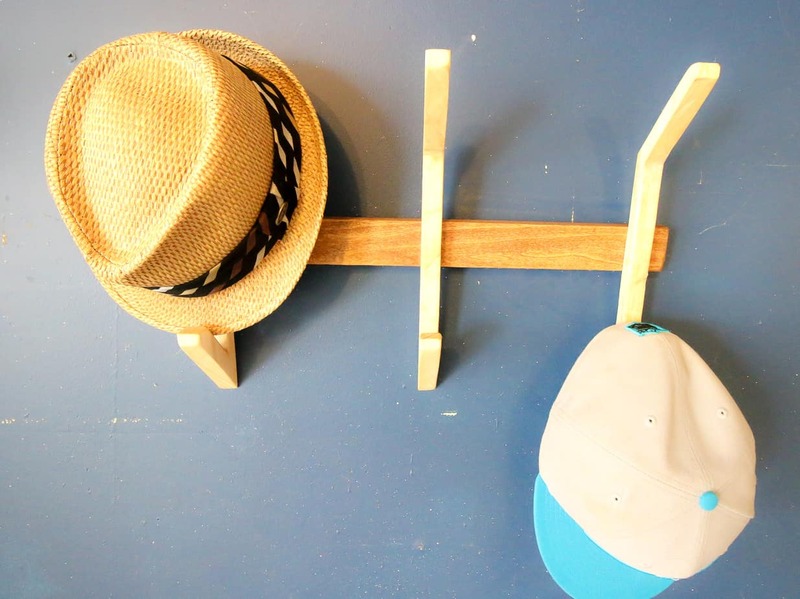 Get a free printable template for the hat rack wall hook! This simple DIY wooden hat rack was easy to make and is modern and sleek. My dad could use a hat upgrade, but for now, we’ll have to settle for a storage upgrade.